Maruti Suzuki India's hold on domestic passenger vehicles (PV) market continued in December with six of its models appearing in the top 10 selling list and its premium hatchback Baleno moving up to the third spot. Rival Hyundai Motor India also made its presence felt with three of its models featuring in the top ten list. According to the data compiled by the Society of Indian Automobile Manufacturers (SIAM), Maruti Suzuki India's (MSI) popular entry level Alto was the best selling model last month. It sold 20,346 units in December 2017 as against 17,351 units a year ago, a growth of 17.26 per cent. 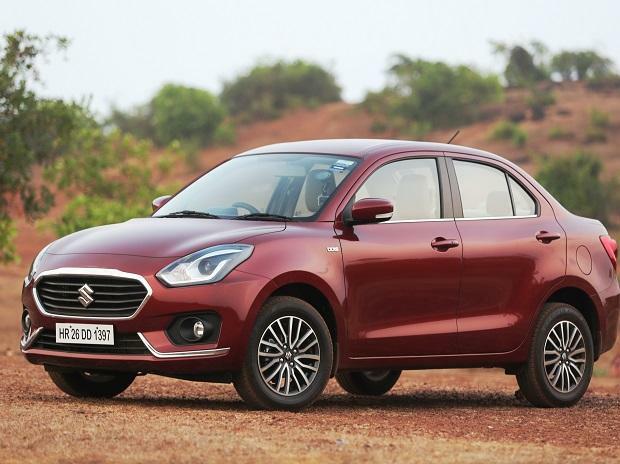 The company's new compact sedan Dzire was at second position with 18,018 units. The previous version Dzire Tour had sold 14,643 units in December 2016. MSI's premium hatchback Baleno was at the third position with sales of 14,551 units last month as against 9,486 units units a year ago, up 53.39 per cent. Baleno was the seventh best selling model in December 2016. Rival Hyundai Motor India's compact car Grandi10 moved up to the fourth position with sales of 12,955 units last month. In December 2016, the model had sold 10,519 units, occupying fifth position. MSI's Wagon R dropped to the fifth position with sales of 11,800 units in December as against 14,176 units in the year- ago month when it occupied the fourth position. Its popular compact SUV Vitara Brezza was the sixth best selling model last month with 11,540 units as against 8,971 units in the same month a year ago, a growth of 28.64 per cent. It had occupied the eighth spot in December 2016. The top ten best selling model list for December 2017 is completed by Renault's entry level car Kwid in ninth position with sales of 6,953 units and Hyundai's compact SUV Creta in tenth with 6,755 units.